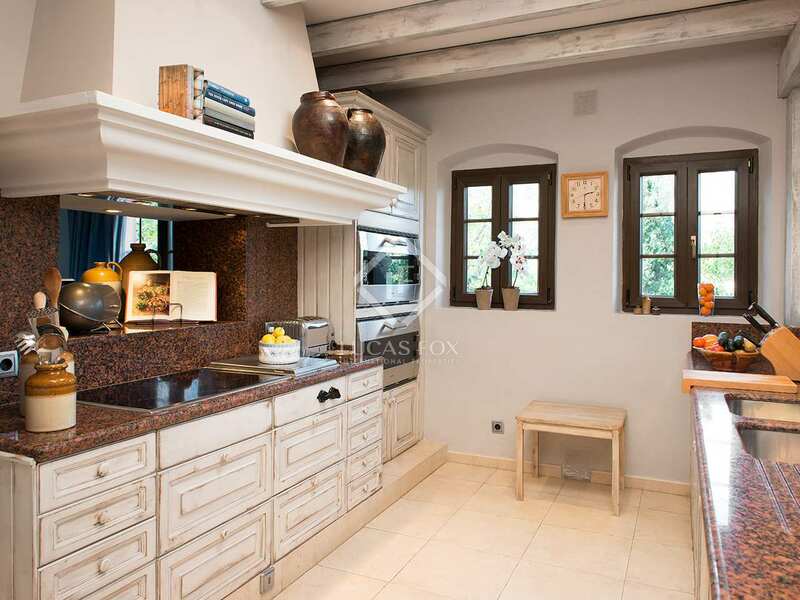 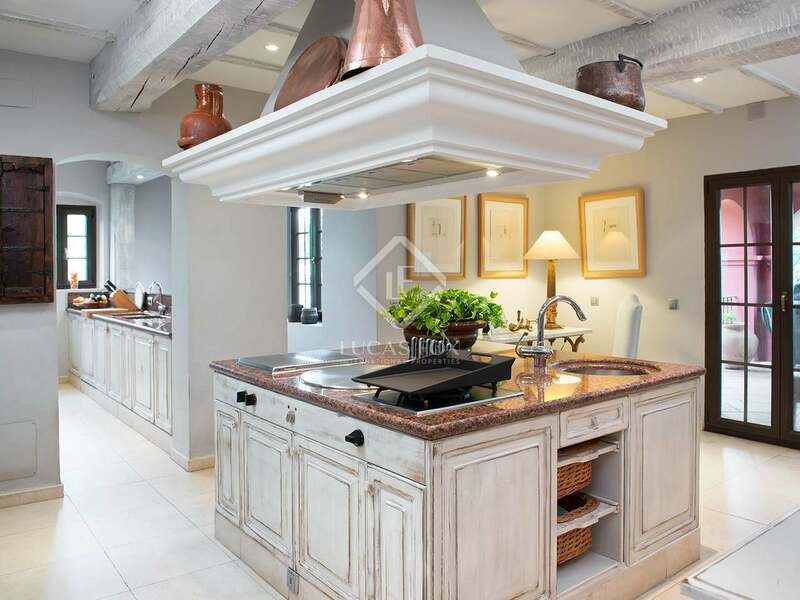 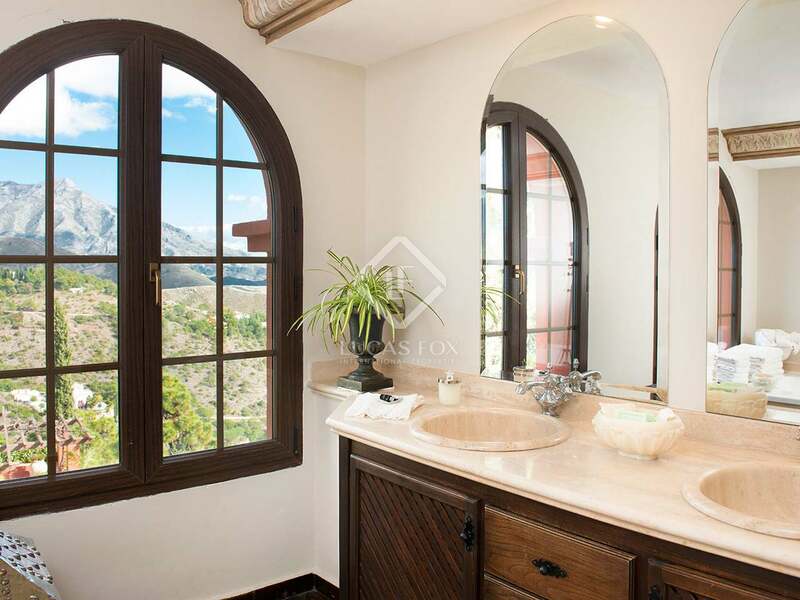 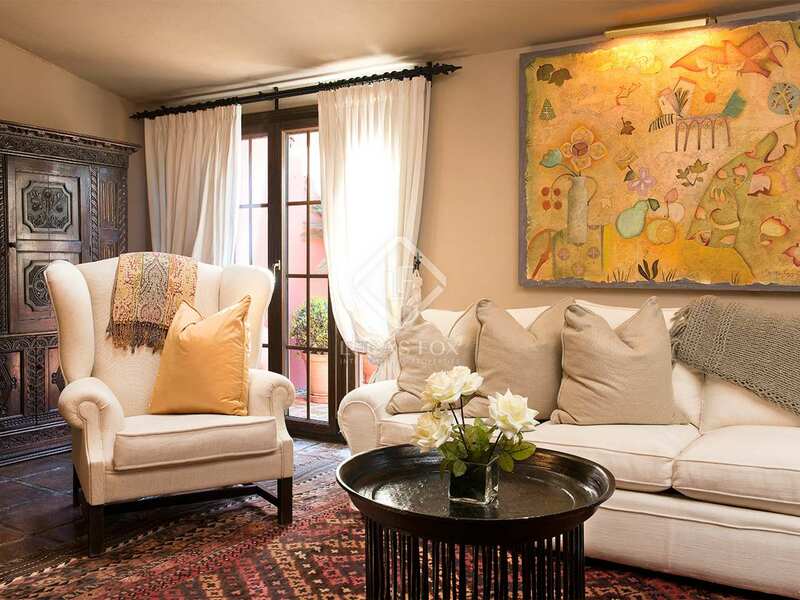 The current owners of this classic villa for sale in El Madroñal have designed it with exquisite taste and great attention to detail, artfully combining rustic and contemporary features. 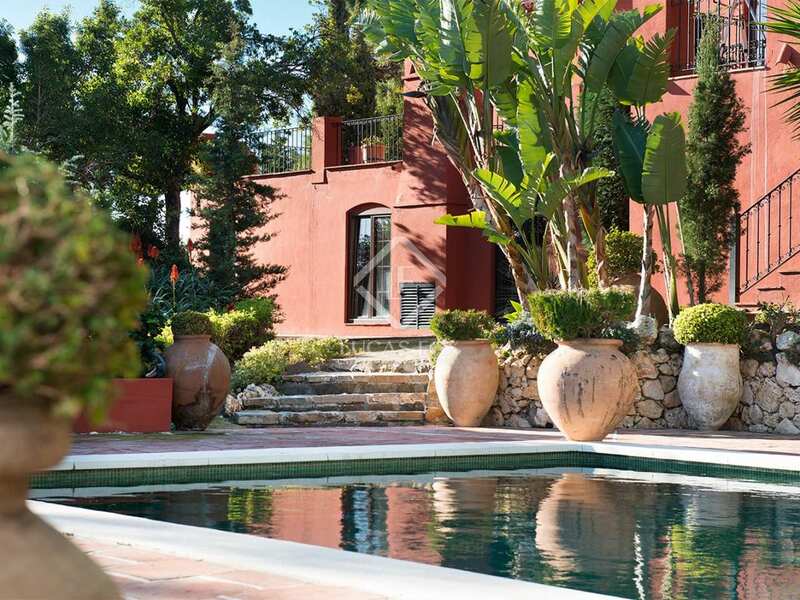 Surrounded by pine and cork trees, with beautiful sea views, this exceptional property is dotted with terraces and porches with various outdoor dining and relaxation areas in the beautifully landscaped gardens. 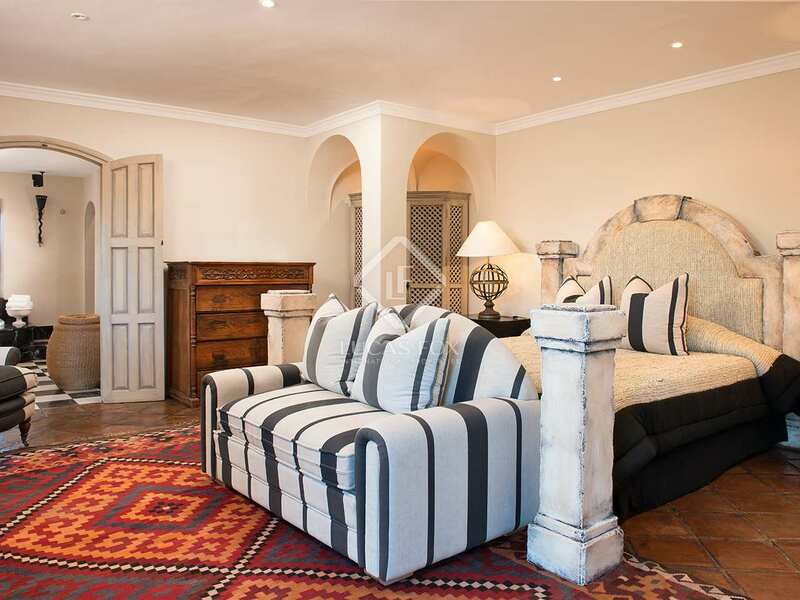 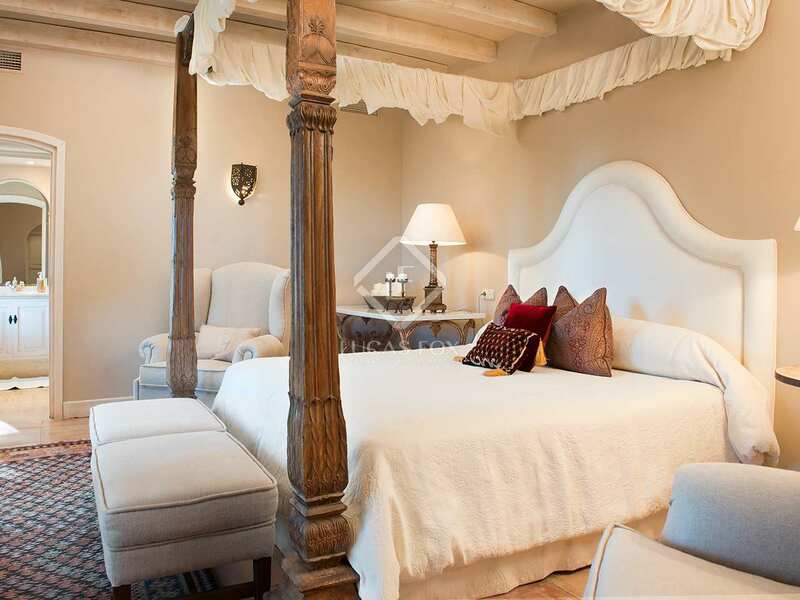 The 3-storey villa covers some 783 m² and offers 7 bedrooms and a stately living area with a majestic fireplace, a dining room, cozy reading room, games and TV room and opulent en-suite bathrooms. 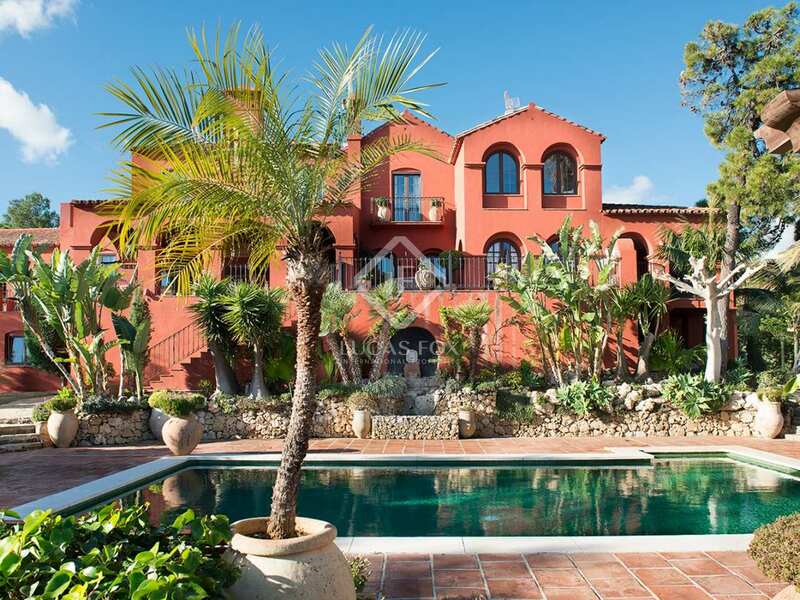 An excellent south-east facing property with luxury finishes and stunning views. 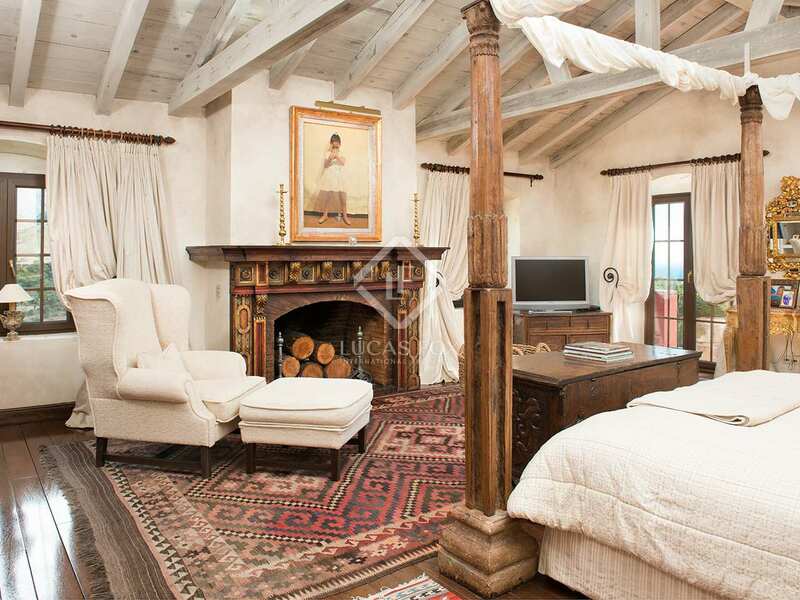 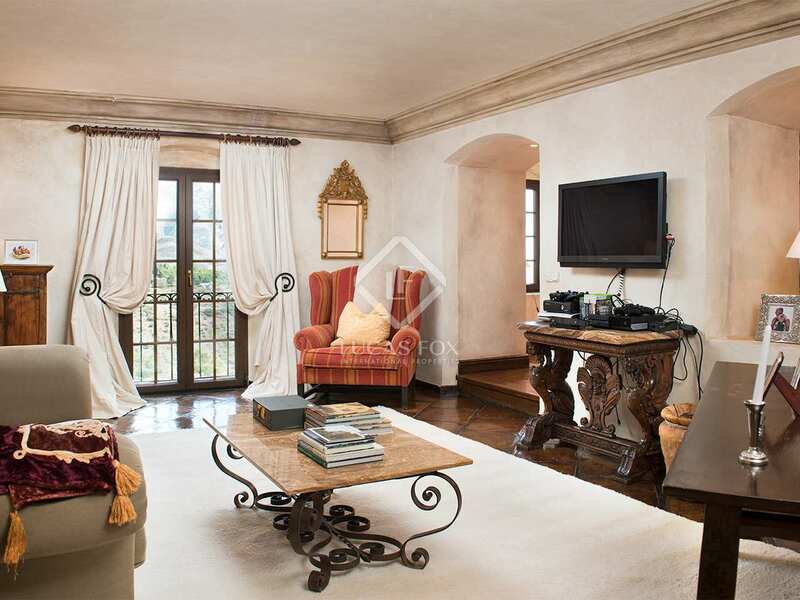 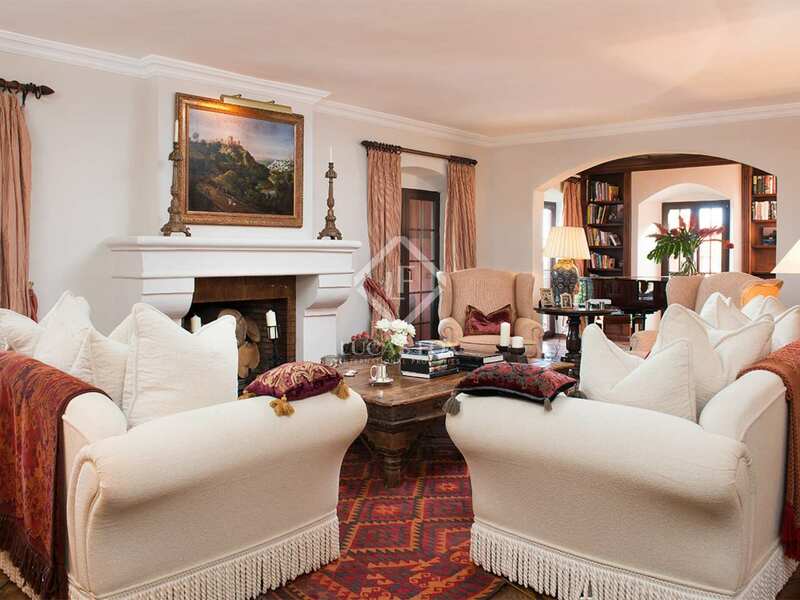 Master bedroom with fireplace, en-suite bathroom, lounge/study and walk-in dressing area. 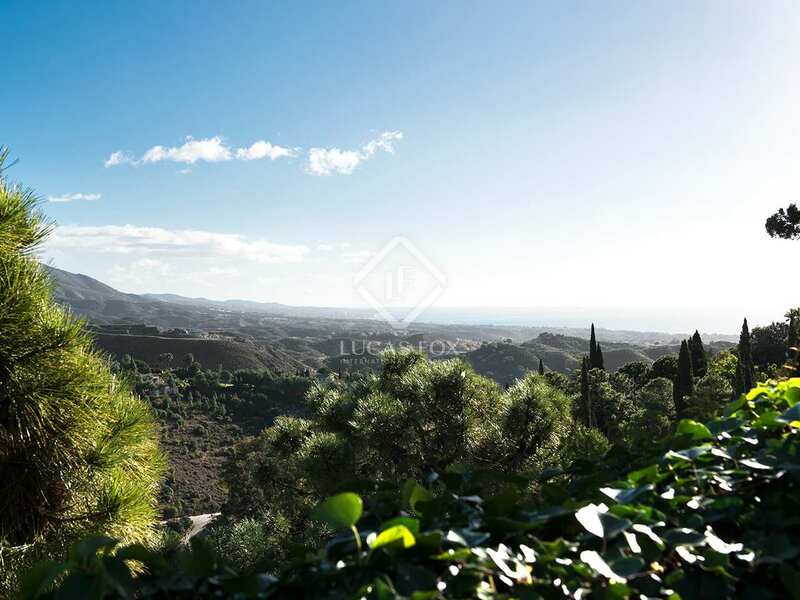 El Madroñal is an exclusive residential area perched 400 metres above sea level, offering impressive panoramic views of the coast. 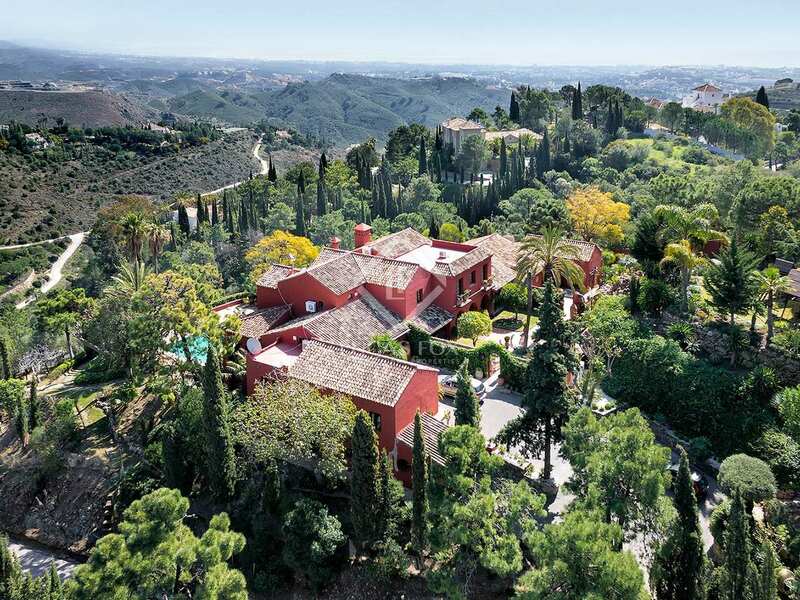 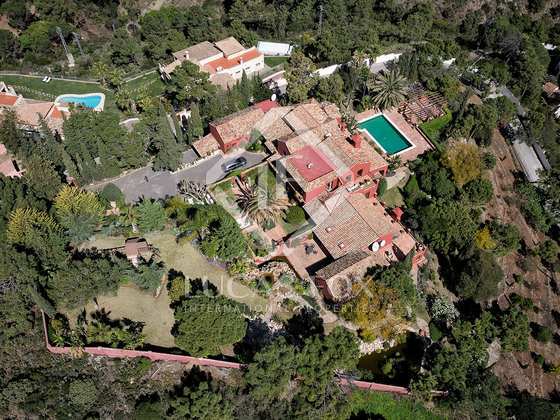 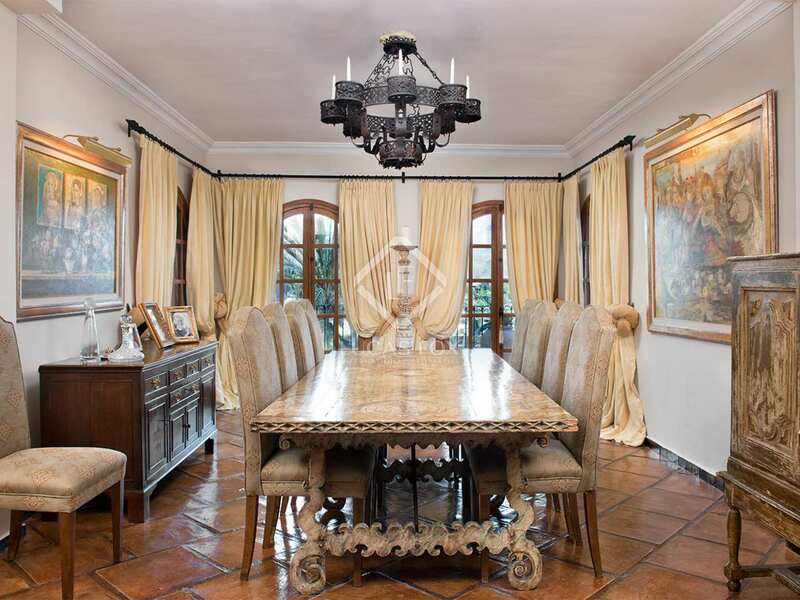 It is located within the municipality of Benahavis, next to the La Zagaleta estate.